Many of us would like to forget the state of the markets in March 2009. The Great Recession brought on by the housing and credit crisis was in full meltdown. A new administration had entered the White House. Large financial institutions (e.g., Lehman Brothers) had collapsed, while others (e.g., Bear Stearns) required unprecedented bailouts from the government. Facebook was still a private company at this point. Investors’ 401(k) and retirement accounts saw deep losses. It seemed this crisis was like none other with no end in sight. The Great Recession was indeed one of historical proportions, and many investors were prompted to exit and cash out of the market. However, history has taught us that all things pass in due time. This past Saturday, March 9, the markets celebrated the 10th anniversary of the bull market from the lows of March 2009. On March 9, 2009, the S&P 500 price index closed at 677. In the years since, the S&P 500 has rallied a whopping 306%, not including dividends, and 400% if we include dividends. To tally that up, the S&P 500 has delivered a 10-year annualized total return of 17.5%. Click Here to view the full Market Thought of the Week! 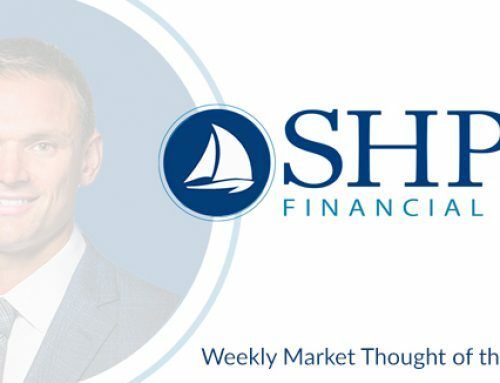 Weekly Market Thought of the Week – Is the Bond Market Signaling a Recession?